A little information on the artists responsible for creating the Supper quilt. Linda and Don are pictured in the background, with the Gammill longarm quilting machine in the foreground. Don Locke has been practicing general dentistry for 43 years. 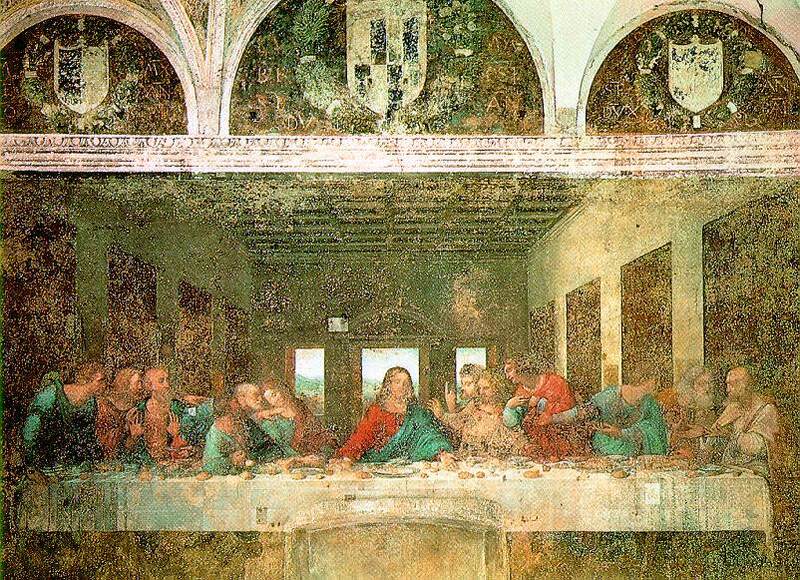 While working full time he created his version of Leonardo da Vinci's "The Last Supper". The Supper is Don's second quilt. His first	quilt was made using the same technical concept and featured himself and his wife Mariyln in the quilted cloth. Linda Taylor has been machine quilting on her longarm quilting machine for 7 years. She is a dealer for the Gammill Quilting machines and teaches workshops at her studio in Melissa,TX. Leonardo Da Vinci was an artist and engineer during the European Renaissance. His works include "The Last Supper" (1495-1497) painted on a wall of the Santa Maria delle Grazie a Dominican cloister in Milan, Italy.